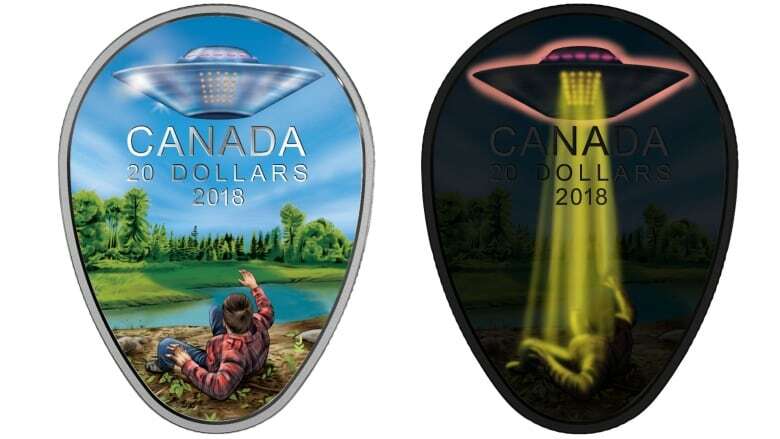 The Royal Canadian Mint's newest offering features Manitoba's most famous UFO encounter, which happened in 1967 when Stefan Michalak went looking for precious metals near Falcon Lake. One could be forgiven for describing the mint's newest coin as rather otherworldly. "I was very surprised, frankly. They called me out of the blue and said 'I have this idea,'" said Stefan's son, Stan Michalak. "It's not every day the mint calls and says, 'Hey, we're going to do a coin.'" Stefan, whom his son says was a "rock nut," was searching for gold, silver and other precious metals and gems in Whiteshell Provincial Park one May long weekend in 1967. At about noon, two craft appeared in the sky, he said, and one landed about 50 metres away from Stefan on a flat rocky area. The other craft left, but the first stayed, said Stefan. He observed it from the bush for about half an hour before approaching it. "In his mind, he reasoned, 'This must be some sort of a military experimental craft. They've landed here by mistake or maybe out of need. Maybe they're in trouble,'" said Stan. "'I'll offer to help them out.'" When Stefan approached the craft, which he later described as saucer-shaped and made of a stainless steel material, he touched it and the heat melted the fingertips of his heavy gloves. There was an opening he put his head through, said Stan, but he didn't enter. The craft then expelled a cloud of gas and lifted off, knocking Stefan off his feet, setting his shirt aflame and leaving a distinct pattern of burns on his chest. The coin shows the moment the craft lifted from the rock, with a figure lying on the ground with a hand in the air, as if to ward something off. In the dark, the craft on the coin glows, as does the gas coming from the ship. The coin is ovoid and uses more colours than traditionally found in a coin, said Stan. "They sent me a proof that had their original thought, which was kind of cute," said Stan. "Originally, it was going to have alien eyes on it, so it looked like the shape of an alien head." 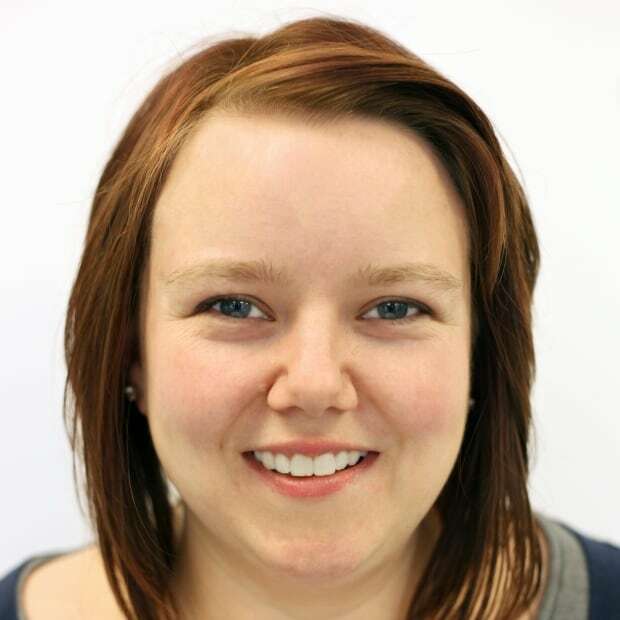 Erica Maga, product manager for the coin, said the idea came to the team during their annual research. "We thought it was such an interesting story that it was one that we had to share with Canadians," said Maga. "Everyone is sort of fascinated by this subject matter and we thought it would make a really interesting coin design." The coin has been in production for a few months but went on sale Monday, said Maga. The coin's egg shape, while unusual, was also used for coins with a hot air balloon and featuring Ukranian pysanka. Maga confirmed one of the earliest designs featured glow-in-the-dark alien eyes. "We had talked around a lot of really wacky ideas and interesting concepts for this one, but in the end, we wanted to try and stay as faithful and true to the story as we could." Despite the Manitoba connection, the coin is being minted in Ottawa instead of Winnipeg, said Alex Reeves, external communications advisor for The Mint. The Winnipeg facility does currency coins, while the Ottawa facility specializes in collector coins. Stan, who co-wrote a book about his father's encounter, said he hopes the coin helps end his family's saga. 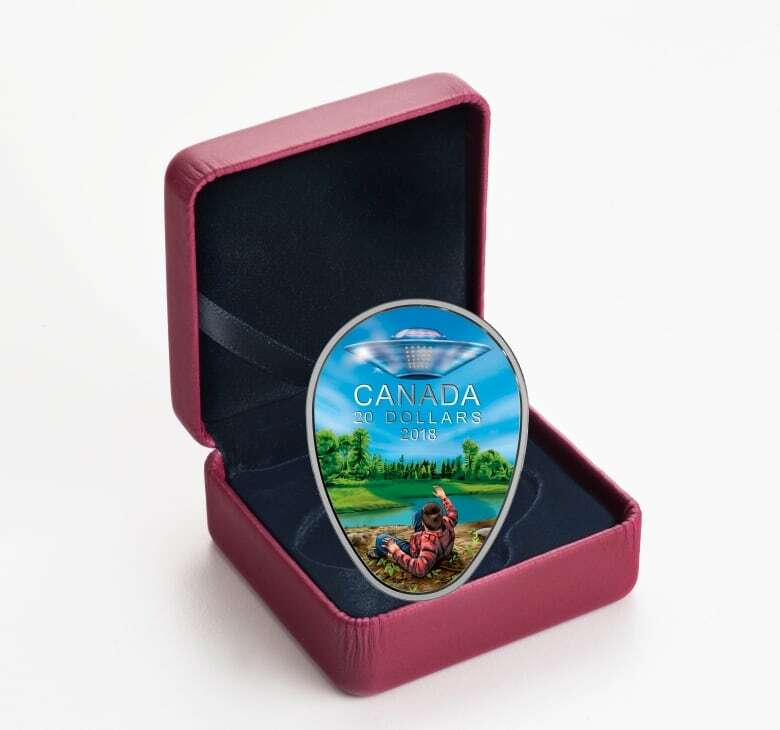 "We just decided to put this to rest, and I think the mint, giving me a call and saying 'We have this idea,' I think it just puts the ribbon on the box to finally close it forever." The $20 legal tender coin can be ordered from the mint's website. It retails for $129.95.